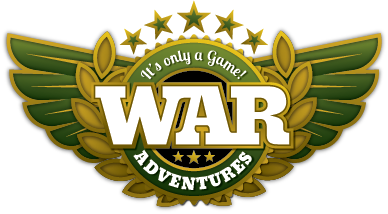 The WAR Adventures Rules and Safety information below is designed not to restrict, but protect the safety of our participants and ensure each player has a good time. In developing these rules, we tried to balance realism, game play and safety. 350 fps limit with 0.2g BB during indoor CQB style games. These are Limits, we suggest a gun shooting 320 to 380 Fps is ideal for most open air events.